The Classic Rock Gibson® Les Paul® Pre-wired Replacement Set includes PAF® 36th Anniversary, Super Distortion® (F-spaced), and a complete wiring harness featuring solderless installation. 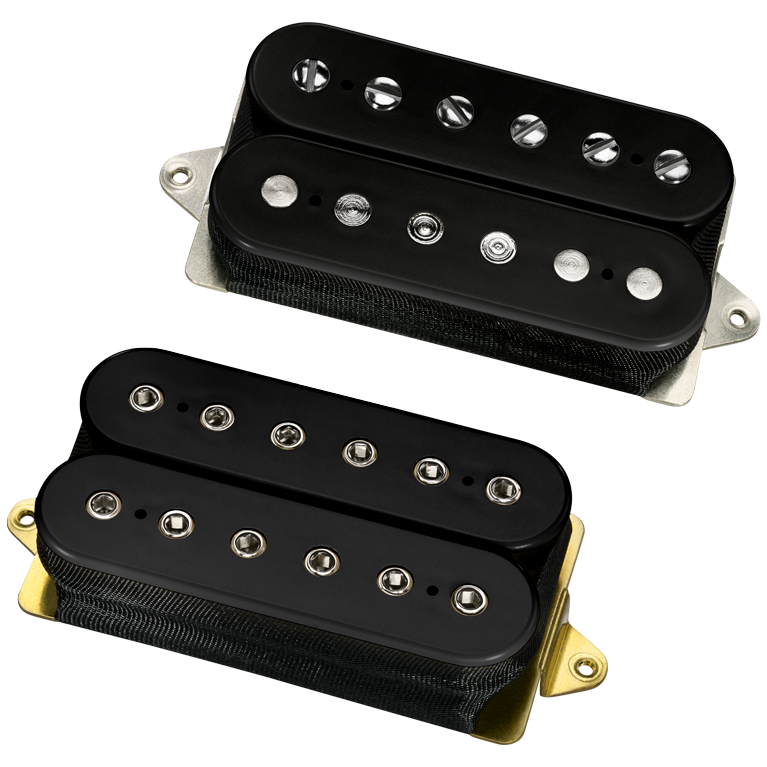 A great vintage humbucker is defined by a soft magnetic field, sweet tone, perfect balance between warmth and clarity and the ability to go from clean to distorted by pick attack alone. We've re-engineered the PAF® using our patented technology to duplicate the weaker magnetic field which allows the strings to vibrate longer, as well as focus and articulate the attack and output. Combine the PAF® 36th Anniversary with the pickup that started a revolution, the Super Distortion®, and you have the perfect combination for great Classic Rock tone. The Super Distortion® is specifically designed to kick a tube amp into total overdrive. It is still the standard by which all other high-output pickups are measured. It has the perfect blend of power and tone: both single-notes and chords jump out of the amp and fill the room with a wall of sound. This is the sound you've heard for decades on platinum records from players as varied as Ace Frehley, Al Di Meola and Paul Gilbert.